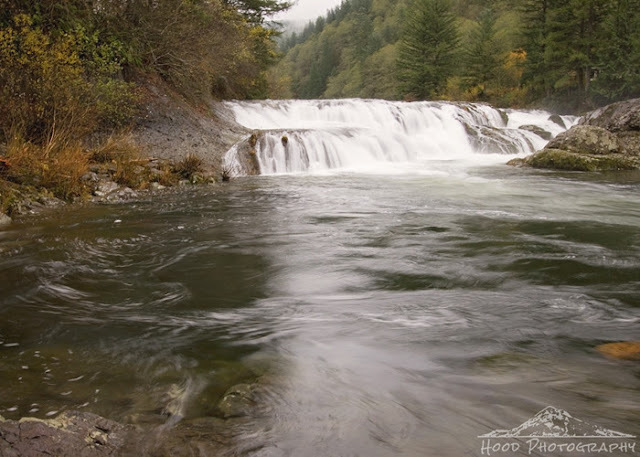 Washougal River's Dougan Falls is amazing! What an awesome spot! It is very, very easy to access and can be viewed right from your car if you happen to travel to it on a rainy day like I did. Despite the consistent downpour, I got out of the car of course. It was not hard to navigate down to the rivers edge to capture the plentiful water that swirled around the base before collecting itself again and heading further downstream.